Madrid is filled with plenty of fantastic things to see and do when the weather heats up, from lazing in the sun to taking part in World Pride. Read on to find out why Madrid should be your number one vacation destination this summer. While it may even be a little too hot sometimes, Madrid does have proper summer weather. If you’re looking to escape the rain and cooler temperatures of home, Madrid is the perfect place to be. A DIY walking tour of Madrid is an incredible way to view the city’s stunning architecture. Start in the Puerta del Sol, then head over to the picturesque Plaza Mayor, which has 237 balconies facing the center of the square. Then wander down past Plaza de La Villa and Casa Sefard to admire the stunning Almudena Cathedral and one of the largest Royal Palace’s in Europe, the Palacio Real. Stroll past the Opera House and then end up in the Plaza de Cibeles, admiring the gorgeous Neoclassical city hall, Palacio de Cibeles. While Barcelona is a wonderful place to visit in the summer, thanks to its coastal location and city beach, it’s way more touristy than Madrid. If you’re looking for an authentic Spanish experience, Madrid is the place to be. Madrid will celebrate the year’s largest LGBTQ festival this summer in Madrid, with the 10-day event known as World Pride. Madrid’s Pride celebrations are already known for being some of the best in the world, and this year’s festivities ensure the party will be one of the best ever. The dates for 2017’s World Pride Madrid are June 23–July 2. Don’t miss it! Summer is festival season in Madrid (actually, in all of Spain) and there’s plenty of different music to be heard around the city, both indoors and outdoors. Don’t miss MAD COOL, featuring Foo Fighters and Green Day, or Noches de Botánico, which will include outdoor concerts from the Gypsy Kings and Tony Bennett. Madrid locals know how to have a good time, and while their level of English isn’t always top notch, their friendliness to tourists certainly is. Don’t be surprised if a Spanish grandmother walks you all the way to your destination when you ask for directions, or if your waiter gives you some tips on great nightlife. You may end up with a whole bunch of new friends after you spend the summer in Madrid. Eating out in Madrid is about more than just the delectable cuisine. It’s actually a tour through history too. Madrid is home to the oldest restaurant in the world, Botín, as well as several other restaurants that date back over a hundred years. Whether you want traditional Spanish delights, a hearty brunch or a trendy spot, Madrid’s got it all. Plus, Madrid also has a great variety of food tours and other unique food experiences, including a ham-cutting course, and some amazing gourmet food markets. Plus, with many locals on vacation in the summer, getting restaurant reservations at coveted spots is easy. Madrid is a big and glamorous city, but luckily, one that won’t make a huge dent in your budget. While a beach hotel in southern Spain may be pricey, Madrid hotels often offer great deals in the summer and in some places you’re likely find a place to stay for as little as €40 per night. A meal out may cost you around €20 and a beer, less than €1. With a top-of-the-line metro and bus system, it’s easy and affordable to get around in Madrid. The city center is also very pedestrian-friendly, with many streets closed off to cars. Bikes are also a great way to get around, and the city bike system, Bici Mad, offers electric bikes, which are great in the summer’s heat, as you don’t need to put in too much effort. Madrid is a city full of parks. If you need a place to relax in the shade, you can head to the Retiro Park, Madrid’s most famous and central park. If you want to make a day of it, have a picnic at Casa de Campo, which is an enormous green space on the outskirts of the city. 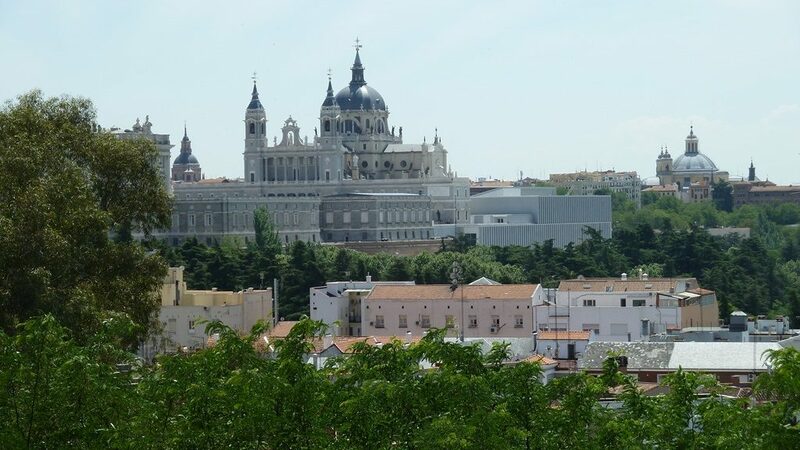 Expect to see beautiful views of Madrid from the park; you should be able to see the palace and the cathedral. Madrid has a variety of summer language intensive courses where you can learn Spanish and have a Madrid vacation at the same time. If this seems boring, it doesn’t have to be. Many of them center around a theme such as art or cooking, or offer weekly tours and excursions to keep things fresh. Taking a vacation in the city of Madrid doesn’t mean you can’t escape to the mountains or countryside for a bit. There are plenty of picturesque day trips you can do from Madrid’s ideal central location, such as checking out the nearby Segovia or Cercadilla for a day. Madrid’s newly renovated area near the Manzanares River, Madrid Río, is the perfect place to hang out on a hot summer day. The area has a beach section with grass, where you can sit in the sun, and fountains to cool off in. Besides that, there are plenty of sports and activities for both kids and adults.